These are poems of absence. 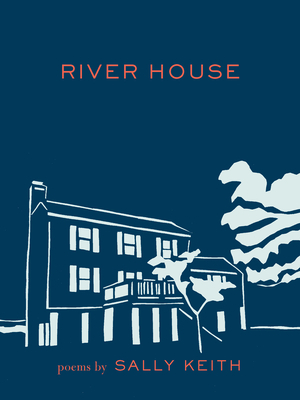 Written in the wake of the loss of her mother, River House follows Sally Keith as she makes her way through the depths of grief, navigating a world newly transfigured. Incorporating her travels abroad, her experience studying the neutral mask technique developed by Jacques Lecoq, and her return to the river house she and her mother often visited, the poet assembles a guide to survival in the face of seemingly insurmountable pain. Even in the dark, Keith finds the ways we can be "filled with this unexpected feeling of living. Sally Keith is the author of three previous collections of poetry. Her first, Design was the winner of the 2000 Colorado Prize selected by Allen Grossman. In 2004, Dwelling Son was selected by Fanny Howe for the Contemporary Poetry Series. Most recently she released The Fact of the Matter. A graduate of the Iowa Writer's Workshop and winner of numerous awards and fellowships, Keith is currently a member of the MFA Faculty at George Mason University and lives in Washington, D.C.